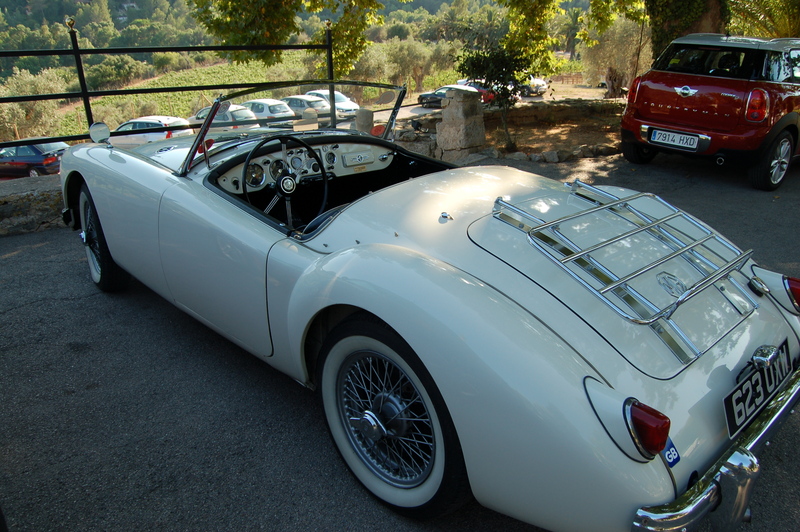 Visit the five-star Gran Hotel Son Net in Puigpunyent, southwest Mallorca, and you stand a good chance of spotting a set of classic wheels in the car park. The hotel is on the edge of the UNESCO World Heritage Site Tramuntana mountains, which offer some adrenalin-spiking drives for keen motorists. The views of olive-tree-clad mountains and the sparkling Mediterranean views have made this – the ‘backbone’ of Mallorca – a dream place to take a classic (or even a bog-standard rental) car for a spin. And the Gran Hotel Son Net makes a good place to stop off for refreshment before or after navigating through the Tramuntana. The hotel will arrange classic car excursions for its guests on request, and has also formed the Son Net Driving Friends group. 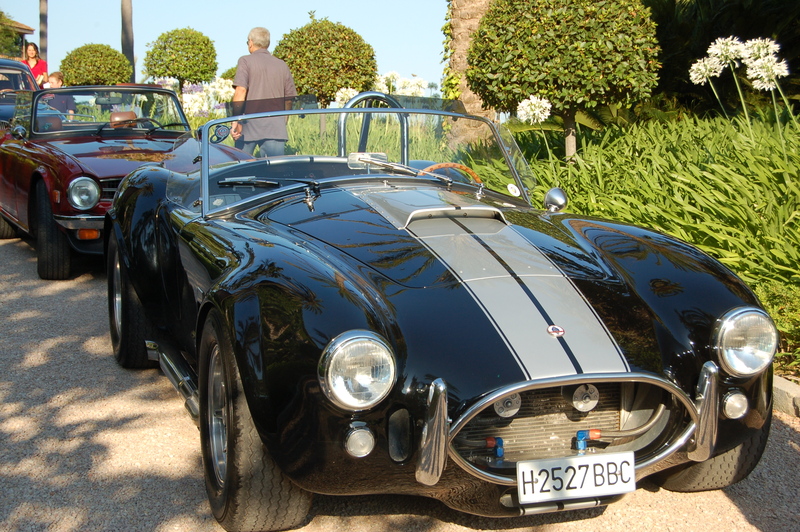 They hold occasional events at the hotel – to which they also invite members of the Mallorca Classic Car Club. If you’re at the hotel on one of these occasions, expect to spend a lot of time in the car park drooling. As we did, last week, when attending the hotel’s summer party, organized in conjunction with wealth management specialists Blevins Franks. (Petrolheads can check out some photos below by photographer Stuart Pearce). The Son Net Treehouse – photo courtesy of the hotel. Dinner for two – with a view. Hotel photograph. 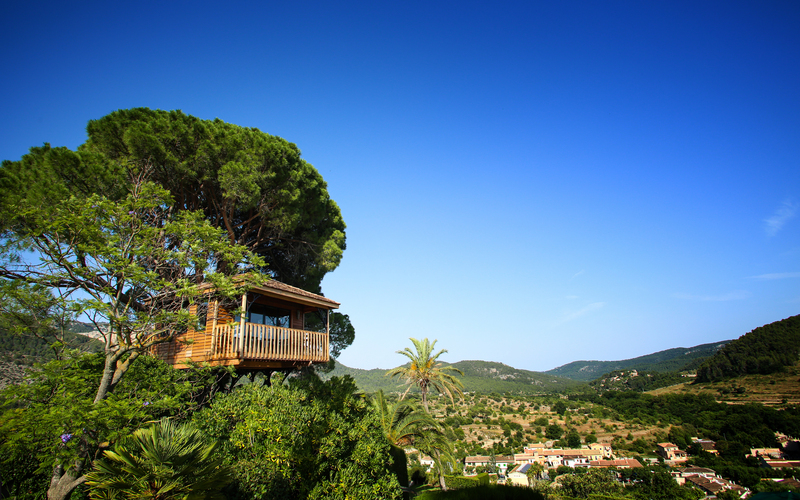 This was my first visit since the hotel opened its Son Net Treehouse – a first for Mallorca’s luxury rural hotels, and built around an existing ancient tree on the estate, in front of the hotel’s main façade. 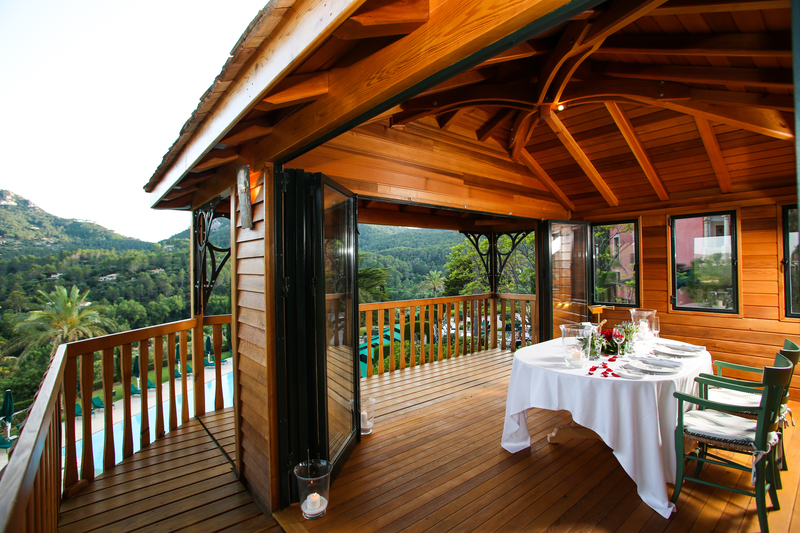 The sturdy wooden structure, which also has a balcony, offers extensive views and can be booked for private functions such as afternoon tea, private meals for up to 8 people, and cocktails for up to 10 people. It would make the most incredible writer’s retreat for a few hours, although the sensational mountain and village views could be distracting, rather than inspiring. Perhaps they should offer a writer-in-residence programme? Form an orderly queue . . . behind me, please. On a more serious note, the Son Net Treehouse would also make a romantic venue for a marriage proposal, an intimate wedding, or renewal of vows. Or a prime location for spotting classic cars coming up the hotel’s long private drive . . .
Cobra – poised to pounce. (Photo JE). 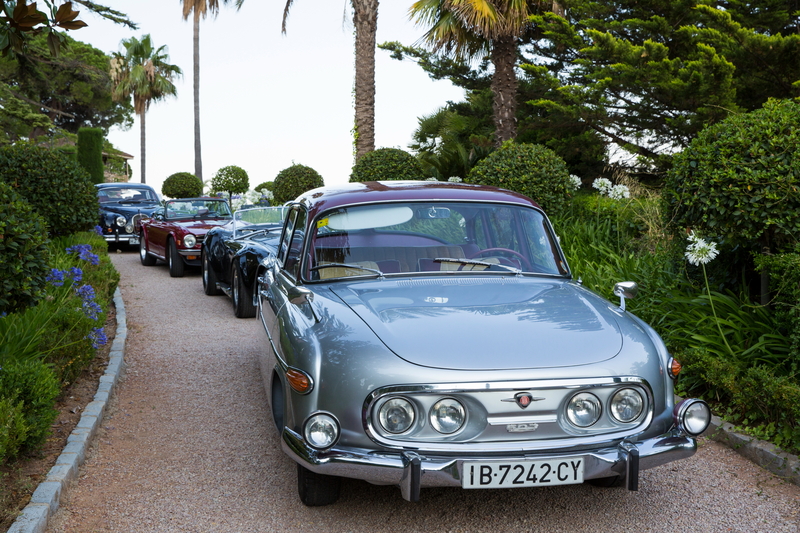 More cars attending last week’s summer party. Photo copyright Stuart Pearce.